Thanks for visiting Indiana butterflies. 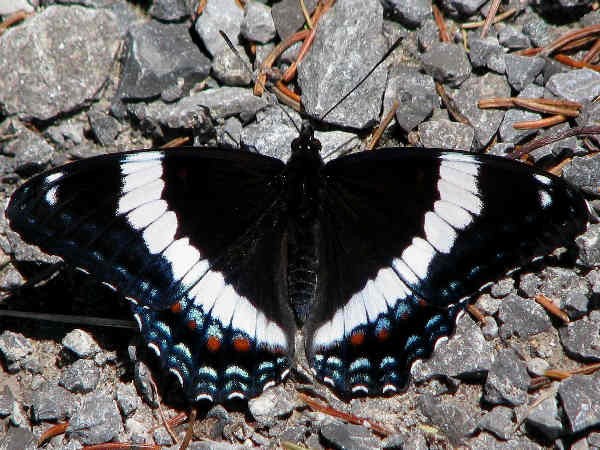 The picture shows a White Admiral, a rare find in the state because the population of Red-banded Purples, a subspecies tend to genetically suppress the white band gene to make them appear more like the Pipevine Swallowtail. As a Midwest farm state, Indiana hosts an average number of butterflies, approximatley 150. The top picture shows a White Admiral. Gratography members can easily contribute. Register today. 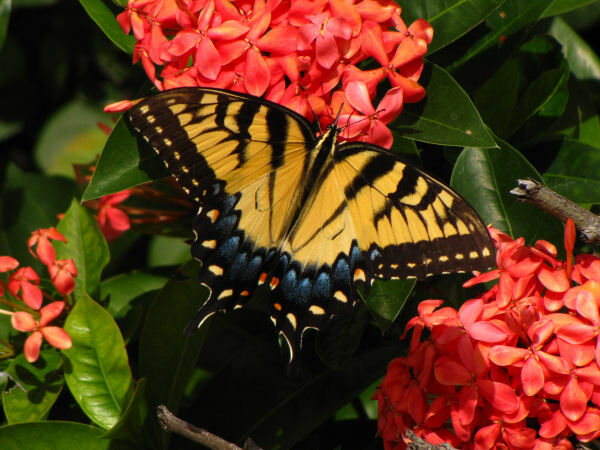 The following list divides Indiana butterflies according to families and adds pictures of some representative species. Pieridae is the formal name of the family that consists of the butterflies with white wings and yellow wings. 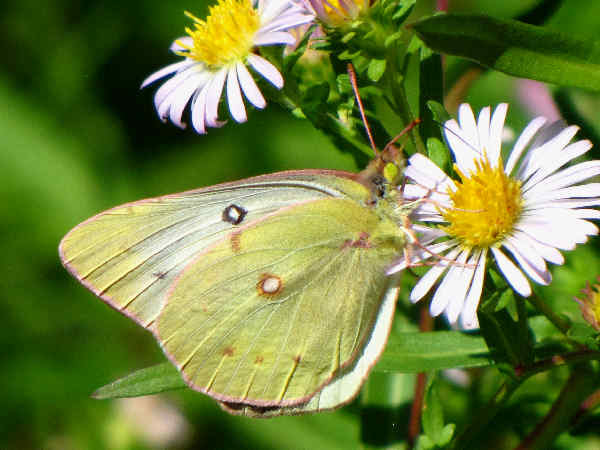 The picture shows a Clouded Sulphur butterfly. Here’s a list of the rest of the white butterflies and yellow butterflies documented in the state. Indiana is sufficiently northern enough to host and above average number of copper butterflies. That makes for a fairly balanced number of blue, hairstreak and copper species. 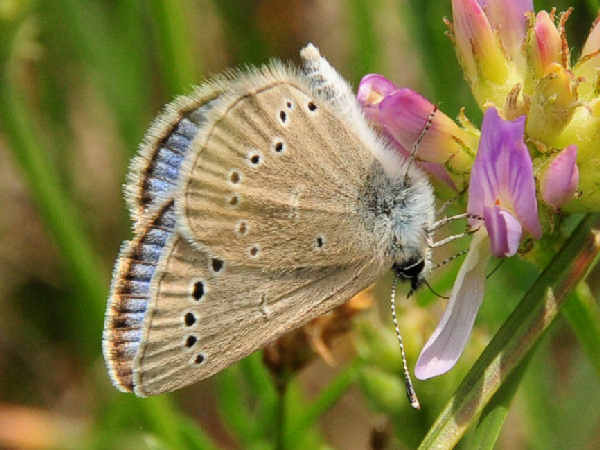 The picture shows the very common Silvery Blue butterfly. They are a common species in the norther half of the country. The Spring and Summer Azures along with the Tailed-blues will be the most widespread of the blue butterflies. 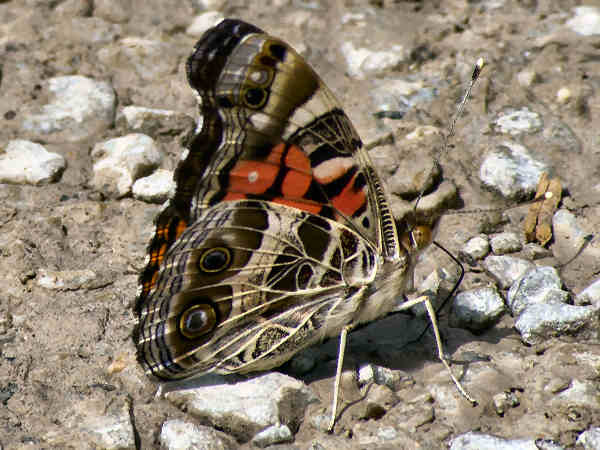 Indiana hosts a nice variety of Brush Footed butterflies, as shown in the following list. Keep an eye out for the Painted Lady in the picture. Along with he American Lady and Red Admiral, they are a genera (Vanessa butterflies) known for their migratory behavior. The Painted Lady, for example, is one of the most common butterflies in the world, often refereed to as the Cosmopolitan butterfly. Its global range can be attributed to the fact that the caterpillars are not picky eaters and will feed from many host plants. 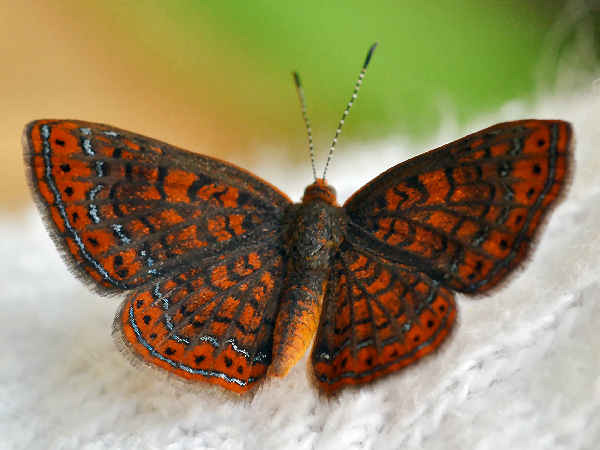 Indiana hosts two species, the Northern Metalmark and the pictured Swamp Metalmark.